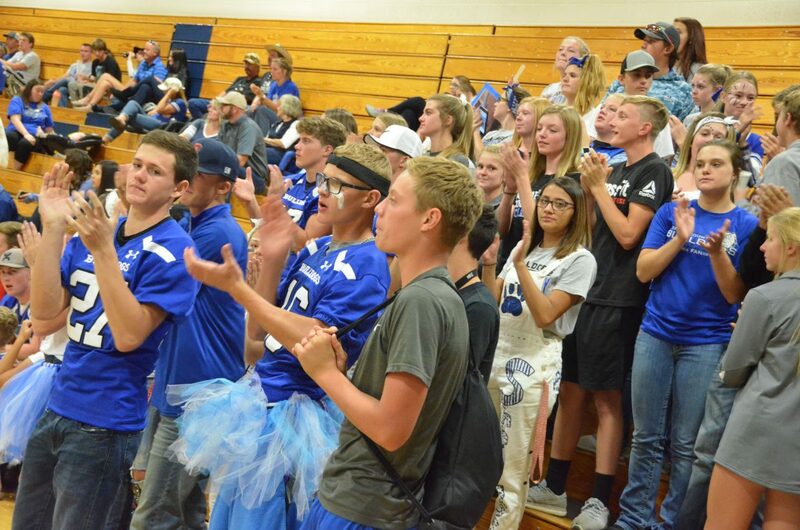 The Moffat County High School student section applauds a good play during Friday's volleyball game against Olathe. 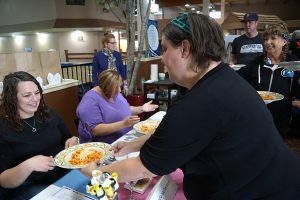 As part of Homecoming festivities, the Moffat County student body filmed a one-take video put together by Moffat County Proud. 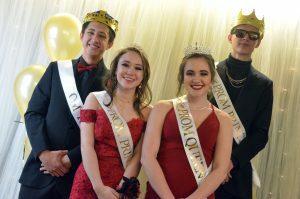 Moffat County High School and Moffat County Proud have teamed up for the second year to produce a single-take lip-dub video showcasing the Bulldog student body as part of MCHS Homecoming. The video, a 10-minute feature shot on campus Friday morning before the Moffat County Homecoming parade, begins with School Resource Officer Ryan Fritz and the Bulldog mascot pulling up to the school’s vocational agriculture building as the camera travels through the classroom and shop, leading to the weight room and back to the main school building, featuring multiple Moffat students, teachers, teams, clubs and classes synced to a setlist of tunes. The video concludes with the full student body gathered in the first-floor commons celebrating Bulldog pride.